With the last post of Gemstone Each Month Series (GEMS) – May, we would writing on how to care for Emerald Jewelry and Gemstone. Do use these tips in general too, to keep your jewelry last long. 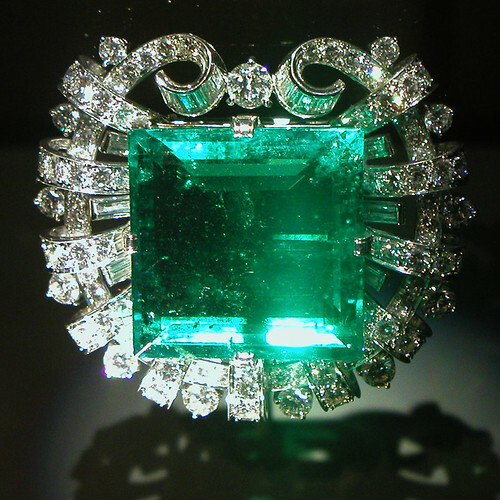 Also showcasing a very beautiful Emerald Brooch kept at Museum of Natural History, Washington. Emeralds are generally found without fissures and surface cracks, so it’s common for them to have been oiled, waxed or filled with resin. Though they have a good hardness, but due to inclusions and fissures they can easily break or chip on impact. So you should wear the emerald jewelry carefully. Also you can keep emerald in your jewelry surrounded with harder gemstones like diamond to avoid direct impact. Every 2-3 years, you can give it to an experienced jeweler to re-oil your emerald, which would keep make it look good longer. Clean emerald jewelry with a soft, dry cloth only. Avoid exposing emerald to harsh chemicals. Store your Emerald Jewelry in a dry place, preferably away from sunlight. Also don’t store them in the same compartments of bags as diamonds and sapphires to prevent scratches to the emeralds. 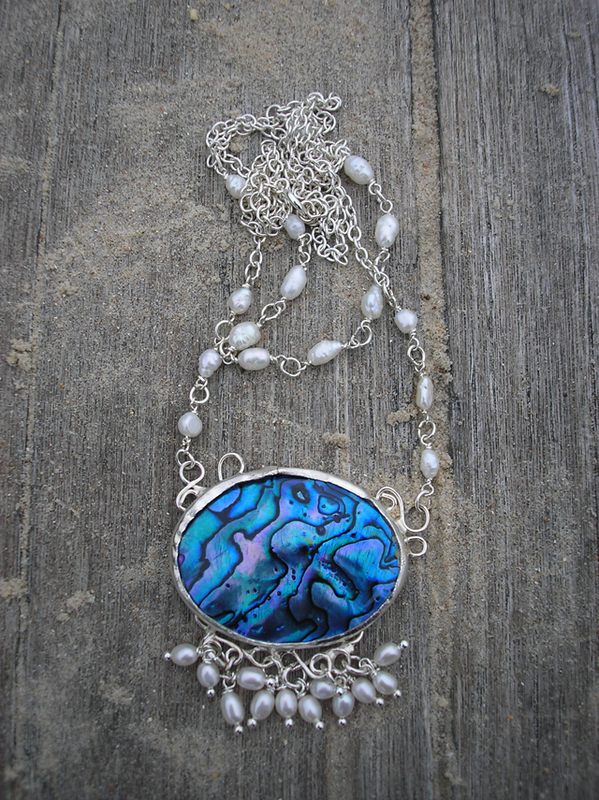 This necklace is just perfect for the summer time, it has a blue abalone shell set in silver as the centre piece. Then it has 2 strands of silver chain and freshwater pearl beads, it also has freshwater pearls hanging the pendant . 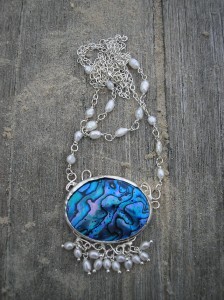 The abalone shell is the most stunning shades of blue with shots of pinks. You can check it out on my online store. Continuing with Gemstone Each Month Series (GEMS) – May, we would be discussing about metaphysical and healing properties of Emerald. 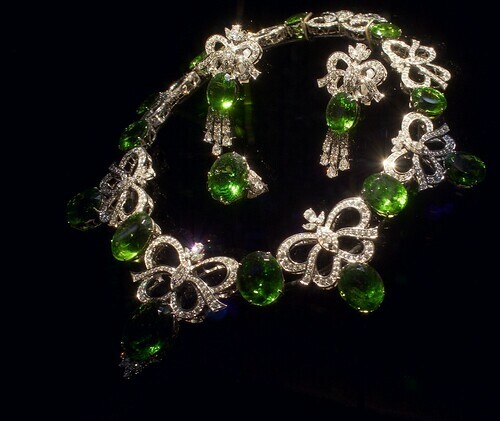 Also showcasing a very beautiful Emerald necklace set, by Mauro Luna. If you have anything to share on Emeralds, do email us at info@jewelstruck.com before the end of this month, for it to be featured. Emerald is a stone of love and good fortune, and is reputed to bring both passion and domestic bliss. It brings and enhances harmony, joy, cleansing, clairvoyance, memory, and faith. Physically, Emerald is associated with the heart chakra. This crystal is the most recommended stone for breathing issues, heart health, swollen lymphnodes, blood problems, the thymus, the pancreas ( for blood sugar rebalance), labor/delivery, eyesight, and the etheric field. Excellent general healer. According to Feng Shui, Emerald is used primarily in the Southeast direction for wealth, in the Southwest direction for relationships and in the North for personal growth and journeys. So thats all we had about metaphysical and healing properties of Emerald. 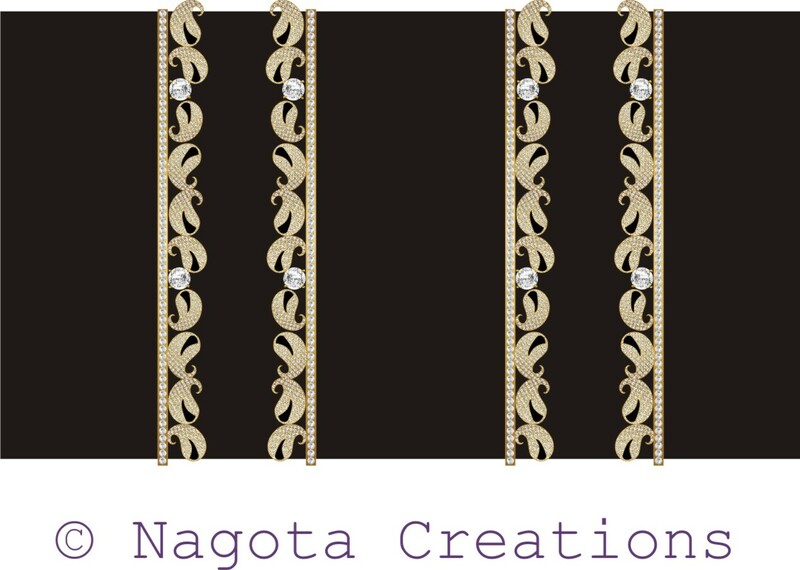 We would be posting more on this Gemstone soon, do wait for our next post in this series. This announcement comes today from the Gemological Institute of America (GIA). More than 200 career opportunities in the jewelry industry will be available at the GIA Mini Jewelry Career Fair in Las Vegas on Sunday, June 6. This job fair is free and open to the public. It offers access to more than 20 ompanies, 18 career coaches and a powerhouse speaker panel. Companies such as Montblanc, Stuller, Inc., and Firestone Inc., will be on-site to conduct interviews for positions including; diamond and colored stone buyers, designers, watch specialists, marketing executives, gemologists, jewelers and more. Career opportunities are available in cities from around the globe: New York, Los Angeles, Houston, Seattle, Montreal, Dubai, Ramat Gan, Hong Kong and more. The GIA Mini Jewelry Career Fair will be held on Sunday, June 6 from 10 a.m. to 1:30 p.m., with doors opening at 9:30 a.m. for career coaching sign-ups. Recruiting and career coaching will begin at 11:30 a.m. and run until 1:30 p.m. It will take place on the 4th floor of the Venetian Conference Center in the Zeno ballrooms. Job seekers interested in attending the GIA Mini Jewelry Career Fair should visit www.gia.edu/careerfair, call (800) 421-7250 ext. 4100 or e-mail careerfair@gia.edu. Employers interested in recruiting or listing a job, can click here for more information. 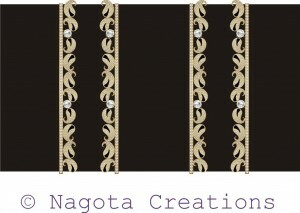 Other details :-Pattern of Four Bangles , 2 in one hand.